WayBlazer Cognitive Conversion Application Powered by Watson & Neo4j: For ages, human beings have been creating tools to reduce the strain of travel. Watch this talk to learn how IBM is collaborating with Neo4J and WayBlazer to implement an innovative cognitive application for a five-star luxury hotel chain in North America. 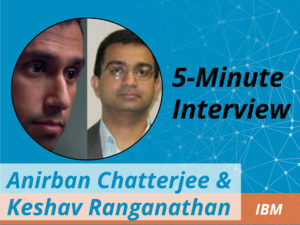 This talk presents a real-world example of how Watson is transforming the hospitality industry by creating new lines of revenue and leveraging cognitive services to smarten existing travel solutions, and shares lessons learned during the WayBlazer application development with Neo4j and best practices to leverage IBM Power8 CAPI Flash technologies. “As the relationship really started to take shape, we realized what the two technologies could solve much more effectively when they worked together,” said Keshav Ranganathan, Senior Offering Manager at IBM Power Systems. The Neo4j partnership with IBM Power Systems is one of many that have been formed over the last several years, making the native graph database an even more effective enterprise solution for companies that span industries and continents. Read the complete interview on IBM’s partnership with Neo4j. Bryce Merkl Sasaki of Neo4j interviews Ivan Portilla of IBM during Graph Connect Europe 2016. IBM worked with Wayblazer on a recommendations engine for travel planning, integrating IBM Watson cognitive computing along with Neo4j for this project. 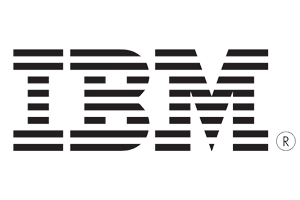 IBM Power Systems are specifically designed to capture and manage data from a variety of sources and put that data to work in your enterprise – including real-time graph processing. The combination of Neo4j’s native graph processing and storage and POWER8’s in-memory vertical scalability is a natural convergence. Neo4j on POWER8 makes it possible to store and process massive-scale graphs in real time – a problem that was simply unsolvable only yesterday.